As a University of Mississippi student, the late Lori Sneed quickly formed a special bond with English professor Colby Kullman, and soon the feeling was mutual. Now, the two “great friends” will be linked in perpetuity by a new Ole Miss Women’s Council scholarship endowment bearing their names. 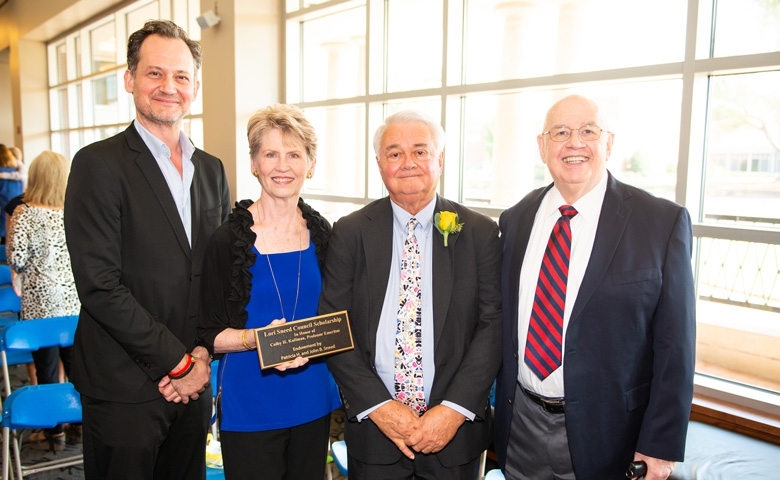 The $250,000 Lori Sneed Council Scholarship Endowment in Honor of Colby H. Kullman, English Professor Emeritus, was established as a gift to the university by Sneed’s parents, John B. “Shorty” and Patti Sneed of Gulfport. The scholarship’s recipients will be entering freshmen majoring in English, chosen on the basis of financial need, academic ability and leadership potential. Contingent upon maintaining a 3.0 GPA, the award may be received for up to eight semesters. Besides their academic pursuits, scholars will be expected to participate in leadership development and mentoring sponsored by the OMWC and the Lott Leadership Institute. “We are deeply honored that Colby allowed us to honor him along with Lori because he was her favorite teacher, without a doubt,” said Shorty Sneed, adding that Kullman, of Oxford, agreed to participate as mentor for the scholarship’s first recipient. Lori Sneed, who died of liver cancer in July 2017 at age 44, suffered a paralyzing spinal cord injury in a 1991 car accident during her UM freshman year. After months of rehabilitation and a year at Mississippi Gulf Coast Community College, she returned to Ole Miss to complete her bachelor’s degree in English. Kullman recalls a special memory he has of his favorite student, who was always prompt for class. “But she had parked her van and some unthoughtful person had parked behind her, so she was trapped in her van. Well, the police officer helped her out of the van, got her into the chair and brought her to class. A longtime UM professor, Kullman earned his bachelor’s degree at DePauw University, master’s degrees from the universities of Chicago and Kansas, and a doctorate from the University of Kansas. His teaching and research interests include restoration and 18th century studies, dramatic literature, satire, biography, comedy and tragedy. Lori’s uncle, Bill Henry, quoted in Gulfport’s Sun Herald, said that beyond her humor and strength, Sneed was exceptionally kind. At Ole Miss, she was a Campus Favorite, member of Pi Beta Phi sorority, member of the Committee on Disabilities and a two-time winner of the Most Beautiful Eyes on Campus contest, before and after her accident. After graduation, she moved to Atlanta, where she worked in public information for CNN from 1997 to 2006. In Atlanta, she performed self-deprecating humor in comedy clubs, telling audiences they should request their money back if they were expecting a stand-up comedian. She loved art, poetry, music and animals. She returned to Gulfport in 2015, where she attended St. Mark’s Episcopal Church and worked as a self-employed artist. Her love for her family was deep. “Nothing brought her more pride than when her mom and dad came to Atlanta so Lori could bring them to CNN or to go to dinner with them and her Atlanta friends,” said Tom Johnson, former president of CNN, delivering a eulogy at Sneed’s funeral. During a recent OMWC ceremony officially dedicating the endowments, Shorty Sneed said he remembers the day his daughter, who never thought of herself as disabled, called to say that she would casually roll through the background of the CNN news broadcast. “Look for me. I’ll be wearing a blue blouse and some gray slacks,” she told him. “I said, ‘Lori I think you’ll be the only person in the newsroom in a wheelchair. I think we’ll be able to pick you out,’” her father said, laughing. “And she rolled through and just kind of looked at the camera. She never let (her disability) hold her back in school or at work at CNN or in her social life. Johnson remembers Lori Sneed’s jovial spirit, an affable charisma that kept her coworkers both on their toes and in good humor. “For me, there has never been a more inspiring example of optimism, of warmth, of courage, of humor and of love than Lori,” he said, remembering the many times she would navigate her motorized wheelchair at full speed into his office with one announcement or another or to meet visiting dignitaries or celebrities. “One day, she wheeled into my office to tell me that the doors at CNN were not wheelchair-friendly, especially the one down the hall from her office on the sixth floor,” Johnson said. The doors at CNN Center became accessible within a week. Lori Sneed did things and got things done. Even now, brother Johnny Sneed, an actor in Los Angeles, gives his sister credit for shaping his personal life. 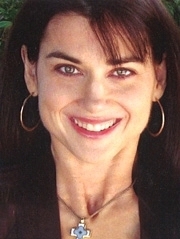 A series of events initiated by Lori resulted in Johnny’s introduction to his fiance, Cristina; the two are parents of a 1-year-old boy. At the dedication ceremony, OMWC chair Mary Susan Gallien Clinton expressed her gratitude for the Sneeds’ generous gift. “This OMWC scholarship honors Dr. Kullman and an extraordinary, vivacious young woman who tragically lost her life while living it to the fullest,” Clinton said. “The generosity of this gift, which overwhelms our hearts, will continue for many generations to give OMWC scholars a four-year academic and cultural program to prepare their lives to be world-ready upon graduating. Read more about the Women’s Council at http://www.omwc.olemiss.edu. For information on how to make a gift to support OMWC programming or a scholarship, contact Suzanne Helveston, development associate, at shelveston@olemiss.edu or 662-915-2956.